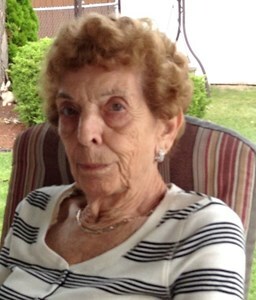 Winifred A Drappo, age 92, of Titusville, Florida passed away on Sunday, April 7, 2019 at Hospice of St Francis. A native of Buffalo, NY she came to Titusville 37 years ago from Buffalo. She loved to work out at the fitness center and shopping. She was a member of the Senior Singing Group and created porcelain dolls. She also enjoyed sewing and making special afghans. She was a member of St Teresa Catholic Church. Survivors include her daughters: Kathleen M Manhart of Amherst, NY, Diane L of Titusville; son: James M (Ronnie) of Mooresville, NC; sister: Virginia Nichols of Titusville; 5 grandchildren: Edward, Michael, Deborah, Jason, Kristen; and 6 great grandchildren: Amanda, Janelle, Andrew, Ahztin, Jonah, Micah. A memorial service and placement at Cape Canaveral National Cemetery will be scheduled at a later date. Please continue to check back for date and times. To share your memories of Winifred or leave a special condolence message for her family, please click the Share Memories button above. Add your memories to the guest book of Winifred Drappo.